I arrived on a Saturday morning in March at around 9:00 and much to my surprise was taken to a table and within 5 minutes I was drinking my first cup of hot coffee and making decisions about what to eat first. While I am sure this is not the case year round, not having to wait in line was a nice bonus. The waiter was a really nice young man who very quickly became a member of our family. He made sure we had everything we needed before we needed it. We had a window seat and enjoyed the morning sun and the view of a bustling Boone. We were outfitted with country ham, sausage and bacon. Each cooked just the way I like it. Other folks might prefer the ham fried a little more, this way it was nice and tender. Along with the meats, we were served a basket of biscuits. It was a nice touch to have both regular southern biscuits and some cinnamon biscuits as well. Both were excellent. Of course gravy was an essential ingredient at this morning feast; both red eye and cream. My recommendation is to put a little red eye on the biscuit first and then smother it with the sausage cream gravy. Scrambled eggs, grits, cooked apples, pancakes and Black Cherry Preserves filled the table to capacity. The more we ate, the more food appeared on the table. It would seem that Dan’l Boone has an endless supply of the southern delicacies and he is not stingy with them. I had skipped the evening meal the night before, planning for the morning outing with my family. Even with the extra space and the early planning, I was easily defeated by this colossal breakfast. Every bite seemed to taste better than the last. I had to be very careful what I said, as my wife (who is amazing cook) was sitting beside me. For sure, the Dan’l Boone Inn serves up a breakfast that is a close second to what my sweetheart can whip up on a Saturday morning. The restaurant is an old home/ inn that has been lovingly cared for and will make the meal even more enjoyable. There was plenty to look at and lots to talk about with my in-laws. There is a little shop located at the front of the restaurant that is well stocked with High Country souvenirs to take home with you. And while I would recommend that, the better option is to grab a couple of the bags beside the register and pack up some country ham biscuits to eat on while driving the Blue Ridge Parkway. They encourage you to take what you don’t eat and we did. 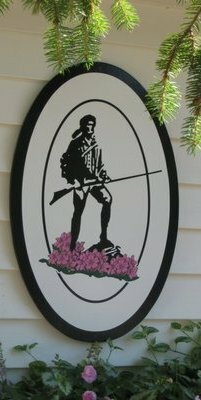 Any way you slice it, the Dan’l Boone Inn is a great place to enjoy some of what the south is famous for; food, family, friends and faith. It is an easy going place and I never felt rushed. We talked and talked and enjoyed our time together over several cups of coffee. At roughly $10 per person (children less), it seemed like a bargain. Sure, McDonalds is a little cheaper, but seriously….. we are talking apples and oranges. 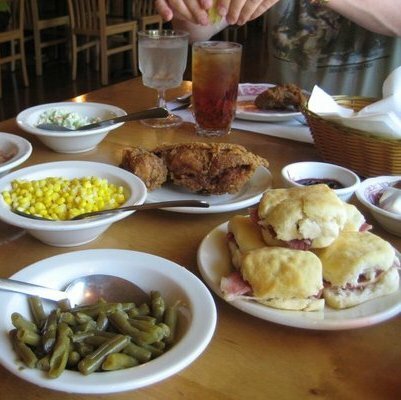 Go, enjoy, and fill up on some of that good southern cooking. Oh yeah, and tell them that the VisitInsider told you about it, maybe next time I am there I will get to eat for free. God bless you. For more information, visit www.danlbooneinn.com.